The Brazilian government released footage Friday of the man, who is believed to be the last surviving member of his massacred tribe. Footage of an Indigenous man who is believed to have lived in isolation in the Amazon rainforest for 22 years illustrates why it's so important to protect uncontacted tribes, says advocate Fiona Watson. 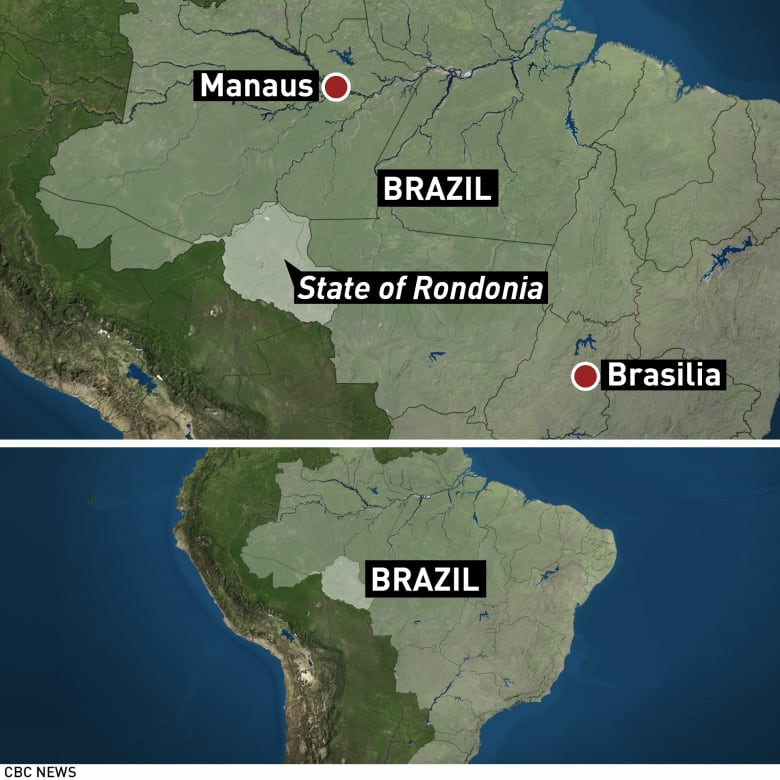 Funai, the Brazilian government's Indigenous agency, released footage Friday of the man, who is believed to be the last surviving member of his tribe. Government officials believe he has been living alone since an attack by farmers in late 1995 wiped out the rest of his group of six. Watson is with Survival International, a non-profit group that works to protect Indigenous Peoples. She spoke to As It Happens guest host Laura Lynch about the significance of the video. I can't imagine psychologically what it's like to see all your family and community killed in front of your eyes, to escape that and then to live on your own for 20 years. And despite all of that, physically, he looks extremely healthy. 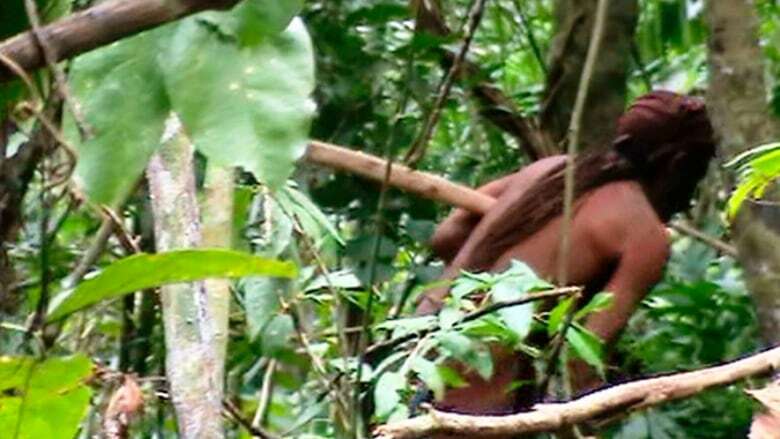 Because his land is being protected by the Brazilian authorities, it shows that actually uncontacted people like him ... can and do live well and thrive on their lands if they are protected and their land rights upheld. Tell us more about how he wound up alone in the first place and the massacre of his family. In the 1980s, the then-government bulldozed a huge highway through this part of the Amazon. And we know that when roads are bulldozed through the Amazon forest, they act as a magnet. People poured in — loggers, settlers, cattle ranchers. And so the forest was just swamped. It was overrun. People invaded the forest. And people were killed. There were genocidal attacks, many happening at that time. So he's living on this sort of island of forest, and the land that he's living on is protected as long as he's there. Is that right? Under the Brazilian constitution, Indigenous Peoples, whether contacted or uncontacted, have the rights to their land. And in the case of uncontacted tribes, Funai came up with a policy in 1987, which said that they would not contact uncontacted tribes. Instead, they would respect their evident wish to remain uncontacted. And it said they would protect the land. This is a really crucial task, because if they weren't there, quite frankly, I think this man would have been murdered because he is surrounded by cattle ranchers. Do you think he's aware of the threats that he faces? I am sure, because he clearly rejects contact. If any Funai people have got too near to him, he's fired arrows at them. How does he survive then on his own? What does he eat? How does he get by? He clearly hunts because there are bows and arrows that the government officials have found in his hut. He's sometimes called "the man of the hole," and that is because he's ... dug a number of holes, which are 1 1/2 to two metres deep. In the bottom of them, he's put little sharp sticks and they think that that's an easy way for him to hunt. He also tends gardens where he's grown bananas, corn [and] manioc. I'm wondering what's to be gained by sharing the images with the world. I'm assuming he didn't consent to have his image distributed. What about his privacy rights? I think that's a fair and important question. He couldn't give his consent. This year has been a very bad year for the Indigenous affairs department because its budget has been slashed, so I think by releasing this footage it's showing, first of all that, the man exists. And there are many people in the region, particularly local politicians who have their eye on his land, you know, that want to exploit it for their own economic gain. They would like nothing better than for him to be disappeared. Just last year we covered the story of a group of gold miners who were recorded boasting at a bar that they had killed 10 uncontacted tribes people. Have there been any consequences for those miners, as far as you know? As far as I know, there haven't. And I think this highlights the difficulties of collecting evidence in these very remote areas. The genocidal attacks on the uncontacted people, they're not witnessed. So it's very hard to gather the evidence. And, of course, any physical evidence that there may be in the tropical climates of the Amazon disappears very fast. Written by Sheena Goodyear with files from CBC News. Interview produced by Imogen Birchard. Q&A has been edited for length and clarity.